While three days and nights pass, Jane continues in a stupor, confined to a bed in the Rivers’ household. We learn of her impressions of the family, the sisters being warm and inviting, but their brother St John, displays a different character. His reserve, quick judgements, distrust and attention to outward appearance are readily obvious. 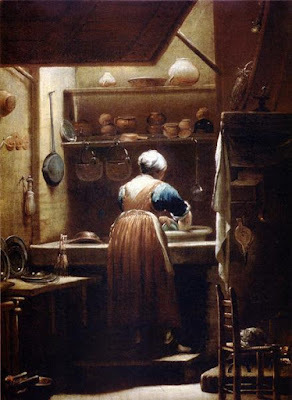 When feeling a little better, Jane makes her way to the kitchen, where she meets Hannah. All Hannah’s prejudices against Jane are aired and cleared, encouraged by Jane’s firm resolution and straightforward honesty. They become fast friends. At tea with St John and his sisters, he attempts to learn more about Jane, while she examines him. His features are described as very handsome and harmonious, but underneath she senses a negative energy about him. “….. (he) scarcely impressed one with the idea of a gentle, a yielding, an impressible, or even of a placid nature. Quiescent as he now sat, there was something about his nostril, his mouth, his brow, which, to my perceptions, indicated elements within either restless, or hard, or eager ……. Jane gives an alias of Elliot, tells them about Lowood school but refuses to reveal anything about Thornfield Hall or the happenings there. 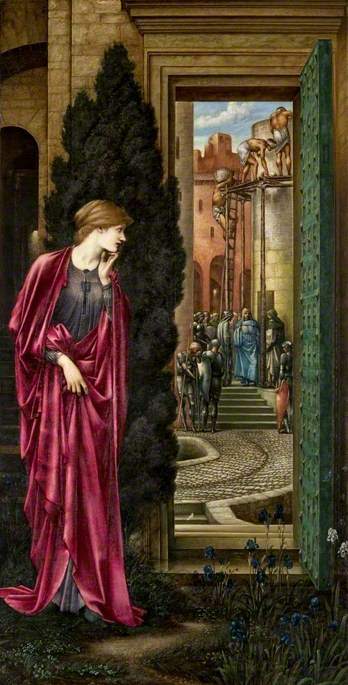 St. John relents in his questioning, promising to find her employment. Jane begins to develop an intimacy with Diana and Mary, but with St John any deeper connection seems impossible and she has many observations why this is so, including his frequent absences from home, his reserved nature, his lack of interaction with nature, his uncommunicativeness and his lack of peace. Finally she is offered employment by St John as a schoolteacher at a girls’ school he established for the poor in the village of Morton. As the sisters must make their own way in the world since their father’s death and are soon to leave for B—-, Jane accepts. The death of the Rivers’ uncle for a moment gives them new hope for their prospects but his mean spirit leaves them little in his will and they all leave for their respective posts. Jane’s new life begins. 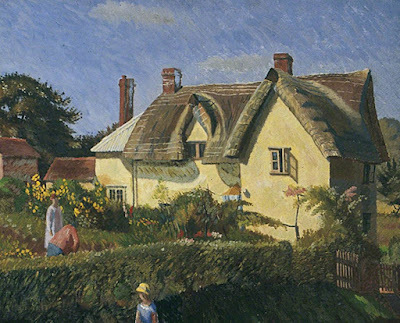 Jane’s new home is a little cottage in Morton, set aside for the schoolteacher. 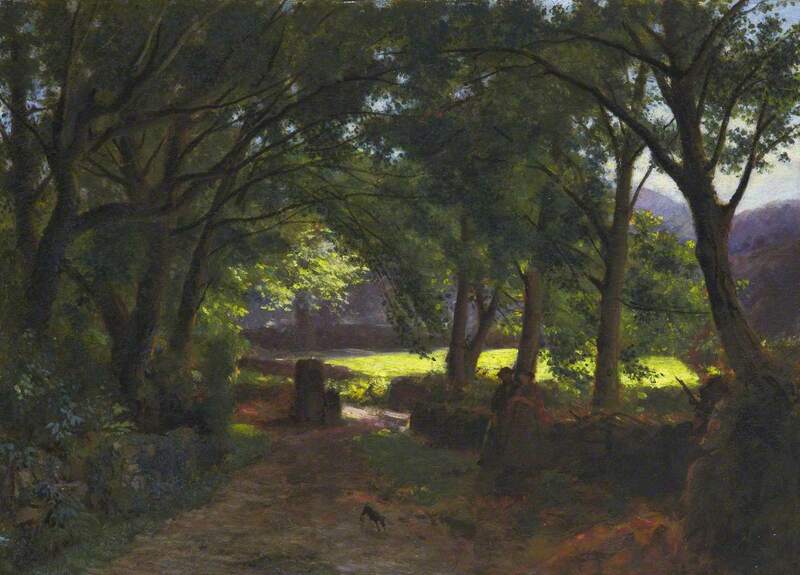 As she takes up her new task, she thinks of her old life and begins to come to terms with her decision to leave Thornfield, realizing that if she had succumbed to her sentiments and passions, her inner soul would have been damaged, and for a short time of bliss, she would have paid with a lifetime of regret. St John visits one day and while revealing his past struggles and his plans for his future, a girl appears, causing him to blanch. She is more beautiful than description, and while she attempts to establish an intimacy with St John, he is rather implacable and refuses her invitation to see her father. It is the heiress. 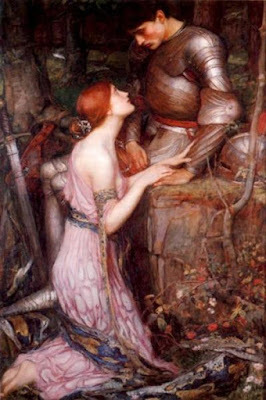 Rosamund Oliver of Vale Hall, but St John seems impervious to her charms. Jane is intrigued by the exchange. Initially I wasn’t really looking forward to this part of the book, but I’m finding it compelling this time. I’m quite loving the contrast between St John and Rochester, and appearance and character. 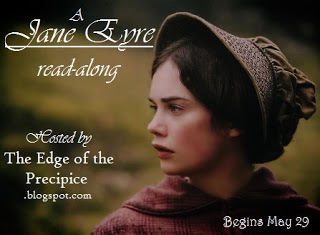 Rochester’s looks are not outwardly pleasing and his behaviour is not always what would be considered socially pleasing, yet Jane senses that there is a hidden part of his nature that is constant and earnest and has great depth, only it has been corrupted by his life circumstances. 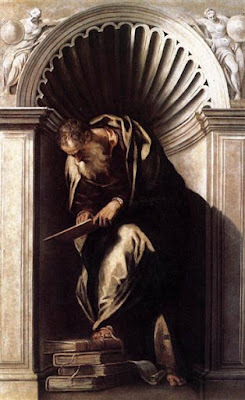 With St John, however, although he is pleasing to look at, and his behaviour is outwardly acceptable, there is a hardness and lack of empathy to him, that does not bode well for any sort of formed intimacy or deep relationship. I also like how Jane, while seeing faults in others, also sees them in herself. While she recognizes that St John has not found peace in his faith or life, she knows that she struggles in this area too and why. Since Tom’s comments in my last post about seeing Jane as an unreliable narrator, I have been trying to, but failing miserably. She simply seems too insightful and too willing to criticize herself for her own failings to be unreliable, or at least from the view of a conscious authorial unreliability. I’ll keep trying though. This section is presented as a conversation between Adler and Lloyd Luckman. I’m not certain who Mr. Luckman is but he appears to be Adler’s co-host and interviewer for the TV show. Luckman is confused as to why Adler would consider “opinion” a great idea. Adler explains. 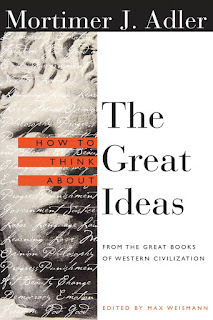 He addresses both the theoretical significance and the practical significance of opinion. The greatest problem in determining certainty and probability is the distinction between knowledge and opinion, therefore to judge the worth of opinions, people created the theory of probability. For a sceptic, we know nothing for certain and everything is a matter of opinion. One opinion is just as good as another and everything is subjective and relative. Opinion is also connected with the great theoretical problem of agreement and disagreement. We essentially agree and disagree on every fundamental question. “Controversy” has almost become a bad word but discussion and public debate are crucial to the health of a society. We have a moral duty to be hospitable to controversy. Majority rule is essential in a democracy, but we also need to respect what is sound in the judgement of the minority. Knowledge is having the truth and knowing that you have it. Opinion consists in not being sure that you have the truth or not being sure what you say is true or false. For example, in a courtroom there is an opinion rule where the witness must state what he saw happen, not what he thinks happened. Opinions can be right or wrong, true or false. Knowledge cannot be false. Another criteria for judging on knowledge or opinion is whether something is universally known or agreed upon. If everyone MUST agree, it isn’t opinion, it’s knowledge. Doubt and belief are relative only to opinion, never to knowledge. For example, “two plus two equals four” is known. As to whether there will be another world war or not, one can only offer an opinion. There is no conflict with knowledge but there can be conflicting opinions. Reasonable men can agree to disagree. We can talk about a consensus of opinion, but we never refer to a consensus of knowledge. 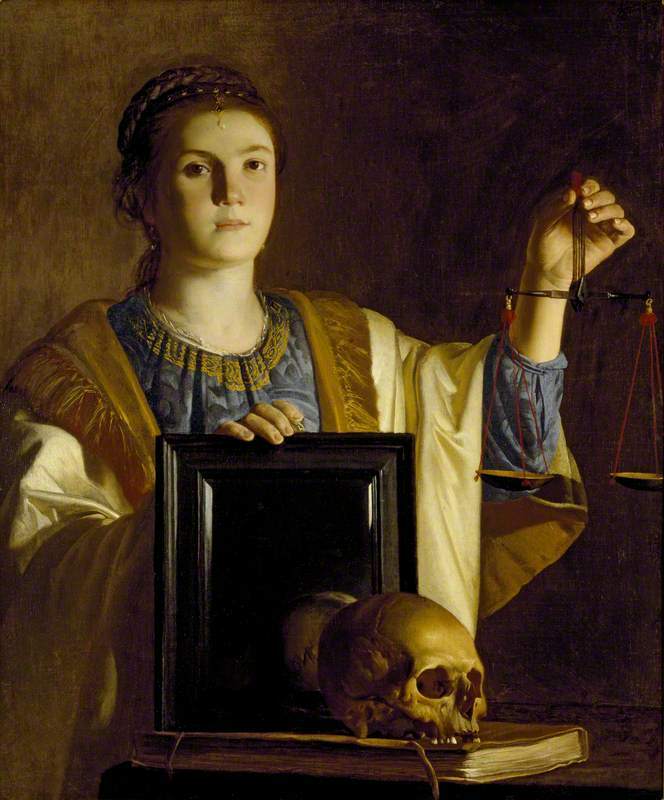 Aristotle’s rule for consensus of opinion is: “In arguments dealing with matters of opinion, we should base our reasoning on the opinions held by all. Or if not by all, at least those held by most men. Or if not by most men, at least by their wives. 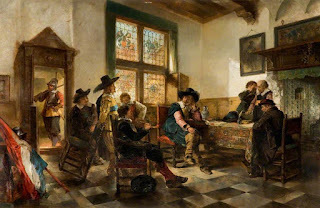 And in the last case, if we are basing it on the wives, then we should try to base our opinion or arguments on the opinions held by all the wives or if not by all the wives then by the most expert among them or at least by the most famous.” Rarely is there unanimity in consensus of opinion. Questions, questions and more questions !!! About what sort of things can we have knowledge, and about what sort of things can we only form opinions? 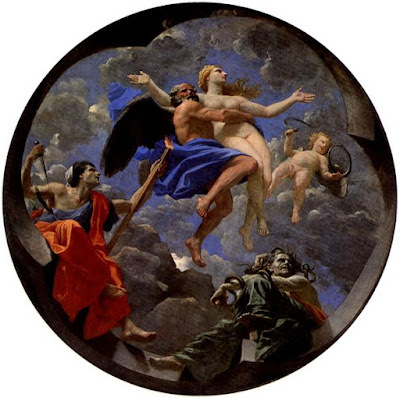 Plato believed that it was only possible to have knowledge about those things that were fixed, permanent or eternal, but Aristotle disagreed, holding that it was possible to have knowledge of both the physical world and eternal ideas. What is the psychological difference between knowing and opinion? Can we have knowledge and opinion about the same thing? Or is it possible for someone to have knowledge about something, about which another person has only an opinion? How much knowledge do we have? To what degree are the things that we deem to know really things we know or only things that we opine? 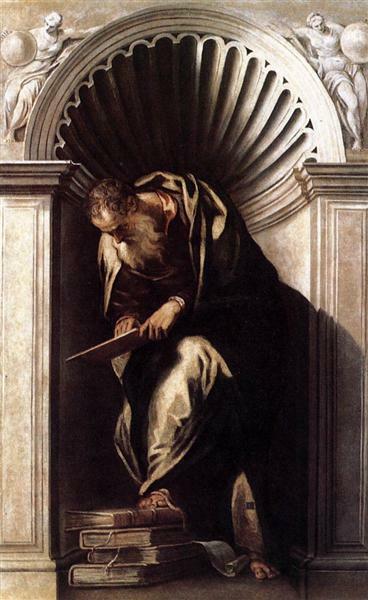 Socrates said that only God knows and for the most part, men have nothing better than opinion. To know this is wisdom. He was being rather ironic and intended to go on with the inquiry, which Adler plans to do in the next section where he examines in greater depth the difference between knowledge and opinion. King Peter of Upmeads has four sons, Blaise, Hugh, Gregory and Ralph. All resolve to set out to seek great adventures but the youngest, Ralph, decides to do so against his father’s wishes. Encouraged by Dame Katherine, a newly married lady to the chapman, she gives him a beaded necklace of blue and green stones and inspires him to find the Well at the World’s End. Of strife and of war also we know naught: nor do we desire aught which we may not easily attain to. Therefore we live long, and we fear the Gods if we should strive to live longer, lest they should bring upon us war and sickness, and over-weening desire, and weariness of life. …..
Ralph’s youth and inexperience are apparent at the beginning of the story, as he travels first to Bourton Abbas and then through the Wood Perilous, meeting up with various adventures and challenges on his journey. He encounters two women, both of whom he loves, yet one whom he is not destined to keep. Finally, with Ursula, his love, and with the help of the Sage of Sweveham, they manage to attain their quest, finding the Well and drinking of its bounty. Their return home is also fraught with danger and intrigue, as Ralph learns the value of perseverance and the rewards of loyalty. Born in Essex, William Morris had a number of accomplishments and careers during his life, including that of a textile designer, a poet, a novelist and a social activist. Though classically trained at Oxford, Morris became an architect, and with his friends, the well-known artists Edward Burne-Jones, Dante Gabriel Rossetti, and archtitect Philip Webb, they formed a decorative arts firm that became the rage of the Victoria era. His renown as a poet followed, and he further exercised his literary talents as a novelist. His interest in Marxism and concern for social issues developed an appetite for activism which lasted throughout his life. He died in 1896 of tuberculosis at the age of 62. The Well at the World’s End is a very curious mix of fairy tale, adventure, and rather risque scenes and actions for the time period of Victorian England. 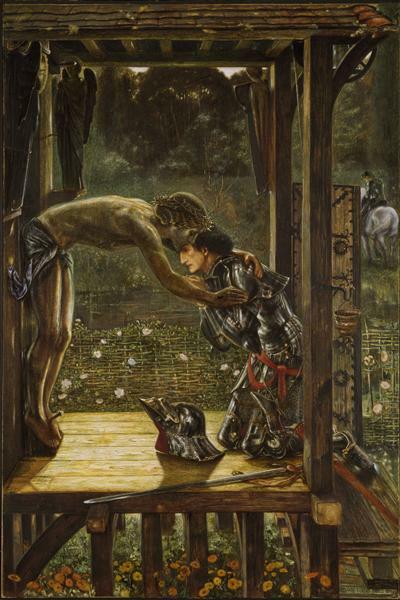 While it reminded me very much of Le Morte d’Arthur, The Faerie Queene, and Sir Gawain and the Green Knight, Morris was not reluctant to reveal the physical attraction between Ralph and the women he encountered, nor did he prevaricate about their physical relationship, however, he did so in rather a romantic knightly way. 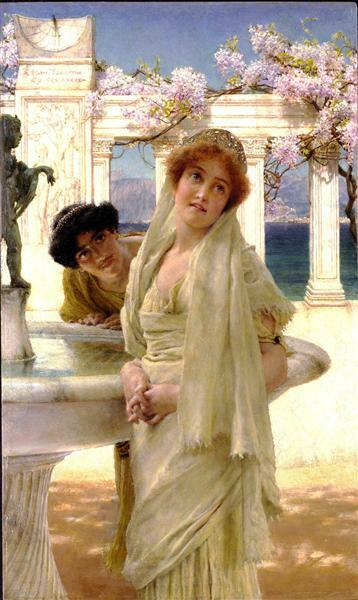 Morris was a muse for writers like C.S. Lewis and J.R.R. 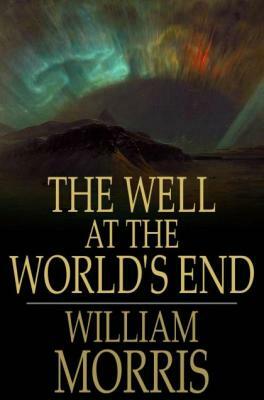 Tolkien who admired his pioneering work in the genre of fantasy fiction, and the names “Gandolf” and “Silverfax” which appear in The Well at the World’s End, are echoed also in The Lord of the Rings. This book was a wonderfully rich and exciting read, full of heroic exploits, peril and satisfying resolutions. Morris was indeed a talented writer and his love for the Medieval is apparent in every word of the story. I own his book, The News From Nowhere, which I hope to read soon as a follow-up. Being compared to Gulliver’s Travels and Erewhon, it’s a complete deviation from this story —an utopian novel of a libertarian socialist bent. In any case, his story telling abilities solidified themselves for me with this novel and I’m looking forward to exploring more works from Morris. Jane’s wedding day arrives but there is not much joy in the beginning and the bridegroom appears rather grim. Rochester nearly drags her to the church, where the priest begins the ceremony but, lo, a man arrives claiming an impediment to the union. 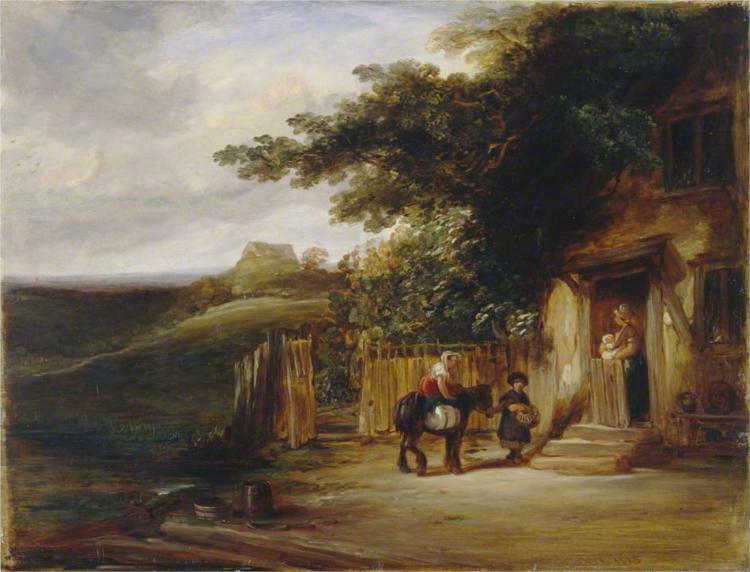 It is the solicitor of Mr. Mason, accompanied by said fellow, who claims that Rochester has a wife yet living. At the declaration, Rochester at first challenges the claim, then appears to accept the accusation. He leads them all to a room in Thornfield where a wild woman resides and tells the story of being tricked into marriage with her while her family hid her mental disorder. 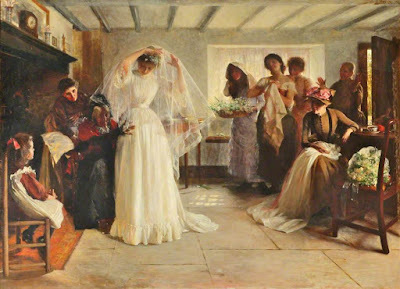 Jane discovers that her uncle had learned of her impending marriage and Mr. Mason happened to be there at the time, setting out soon after to prevent it. She retreats to her room and proceeds to examine her predicament with a heartbreaking earnestness. She sends a prayer to God in her desolation. After agonizing over the morning, Jane finally leaves her room to find Rochester in a chair outside waiting for her. He carries her downstairs, gives her food and wine to revive her and then begins to tell of his plans for their future life. When Jane appears to resist, he realizes that he has not explained how he arrived at his predicament and tells her the story of his marriage —- how he was tricked by his father, older brother and Bertha Mason’s family into making her his bride. Blinded by her looks, he agreed to the union, only to find her insane and after four years had to lock her up. Returning to England, she became the inmate of Thornfield and he regrets that he did not appeal to Jane’s magnanimity and tell her the truth earlier. He seems to think that they will still be married but Jane disavows him of that notion right away, even though her heart is in conflict while it is being torn asunder. In spite of, first his anger, and then his tormented pain, Jane resists his entreaties. That night, she leaves, walking for miles alone and then finally gets a ride in a coach to the farthest town she is able. The coach takes Jane as far as Whitcross which is really only a marker in the road. She begins to wander, coming to a town where at first she is too reticent to beg, then as hunger begins to gnaw at her, she asks for food, all while she still aches for Rochester. Inquiring about work, no one seems to help her and she resigns herself to a fate of death from hunger and cold. 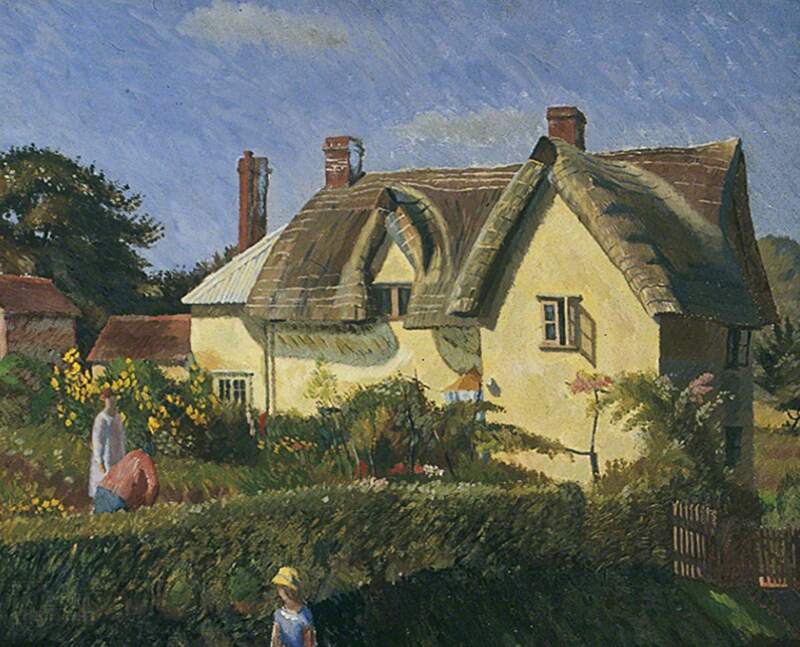 Yet at the last moment she is drawn to a little cottage where she sees a servant and two young women inside. Attracted by their calm, pleasant demeanours, she knocks on the door but to her despair, the servant Hannah, refuses her admittance. She is only saved by a young man, St. John, who returns and takes her inside, feeding her and giving her a bed for the night. 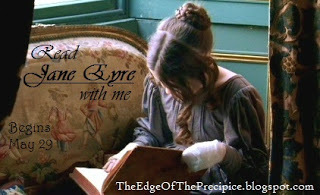 Ah, here is the ripping, the tearing away of Jane and Rochester. 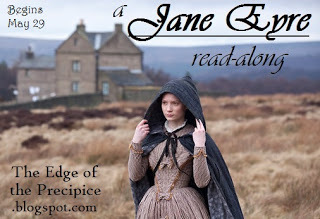 Brontë does an excellent job in conveying Jane’s anguish but in a way that is very in tune with her character. Her quiet suffering is almost more effective than any outward display. For a rather practical man, Rochester is in the grip of delusion, which communicates the love he has for her. He still believes that she will agree to marry him, and one wonders how much he really knows Jane. Yet his actions display a rather passionate desperation which made me pity him and feel impatience with him all at the same time. Hopefully Jane’s actions will model a deeper love to him and eventually he’ll respect her decisions. I must say this is one of my favourite parts in the book, despite the sadness and drama. Her wandering aimlessly around the countryside is certainly not riveting, but it does illustrate the lack of compassion people seem to have for each other. The fact that she’s a young homeless girl does not seem to touch anyone’s heartstrings. I wonder if this is an accurate portrayal of human attitudes or simply a device to move the story along. The weakest part of the book is in this section. What a coincidence that her uncle just happened to live on this particular Caribbean island, and what a coincidence that he just happens to run into Mr. Mason, who just happens to have the marriage revealed to him so he can stop it and THEN even more manipulation of the uncle by making him so sick that Jane cannot go to him, nor he to her. Not the best plot crafting by Brontë. I didn’t know until my fourth or fifth reading of this book that St. John is pronounced, “Sin-jun”. Do any of my British blog followers, or anyone else for that matter, know the reasoning behind this creative British pronunciation? Heavens, start with a light one, why don’t you, Adler! And it honestly wasn’t a long essay at all but it was dense. Dense, as in tons of relevant information packed into a small space. Dense, as in my brain hurts. Let’s see if I can untangle some neurons and launch into a coherent explanation. Truth is associated with the pursuit of knowledge which encompasses all earnest endeavours or investigations. False knowledge does not exist, therefore, what you have in your mind about the object you are trying to know is “knowing the truth”. Pragmatism – Pragmatists believe truth is only truth if it bears fruit in action — it is only truth if it works. The opposite view to pragmatism is that practical verification is unnecessary for man to have an awareness of truth. The easier question of the two is: What is Truth? Within oneself, one knows the difference between the truth and a lie. There is a correspondence between our own words, speech and thoughts. Between two people, using words, we develop a truth of communication or a truth of understanding between each other. However the third case is more problematic: finding truth within reality …. The generally agreed upon definition of truth in European thought is the “correspondence between the mind and reality.” From the ancient to the Medieval to the modern world this definition holds true. Plato: A false proposition is one which asserts the nonexistence of things which are or the existence of things which are not. Aristotle: To say of what is that it is or of what is not that it is not, is to speak the truth or to think truly; just as it is false to say of what is that it is not or of what it is not that it is. John Locke: Though our words signify nothing but our ideas, yet being designed by them to signify things, the truth they contain will be only verbal when they stand for ideas in the mind that do not agree with the reality of things. William James was a pragmastist who maintained that the successful working of an idea signaled truth, meaning the truth of our ideas have an agreement with reality. However, this definition is only the starting point and many problems remain. 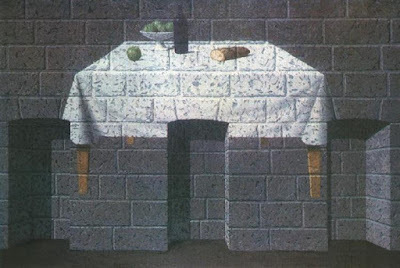 It is more difficult to tell how something is true or false. As mentioned above, it is relatively easy for the mind to directly correspond with its own thoughts or indirectly with the thoughts of others. This brings us to our very difficult case. How does one test the correspondence with my own mind with that of reality? We express our thoughts in statements or propositions; reality is the facts about which we’re trying to make the propositions. The problem? It is impossible for us to grasp the facts except within our own propositions, therefore we have no direct way of discerning whether the propositions correspond to the way things are. Likewise, we have no indirect way of discerning either, because we cannot ask reality questions and reality cannot answer back. We cannot have correspondence between what we know and what we are trying to know. Yet Adler does not think this explanation sufficient, for, of the two propositions, how are we to know which is true? We can only discover truth if we have some measurement or standard with which to measure these propositions. Aristotle said, “The human mind uses two kinds of principles. There are the unquestionable truths of the understanding which are axioms or self-evident truths and there are truths of perception, truths which we know, which we possess, when we perceive matters of fact, such as, ‘Here is a piece of paper in my hand,’ or ‘Here is a book, I see a book, I observe a book. '” If we can test the truth of our propositions against these self-evident truths, we begin to solve the problem. Many people can change their minds, but this has nothing to do with a change in truth or what is true. If the earth is round, it is round no matter how many people claimed that it was flat. It’s fair to say that true is immutable, but human beings do not possess truth immutably. Oh heavens, I can already tell that this project is going to take much more effort than I expected. It’s truly an introduction to philosophy. I just have to keep telling myself that it will be worth it ……. 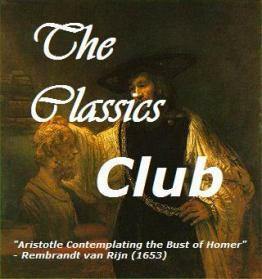 Classics Club Spin # 14 ……………. and the Winner Is …….. 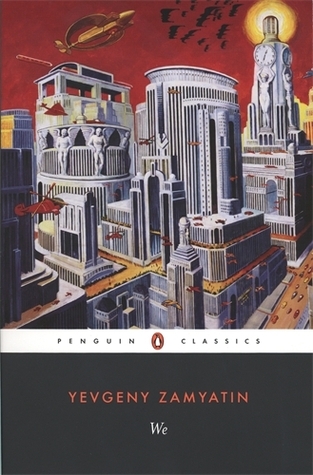 I must say that I’m rather excited to read We by Yevgeny Zamyatin. I’ve heard excellent feedback about it and I haven’t read a sci-fi book in awhile. I’ve also been enjoying a Russian-fest lately, finishing off The Death of Ivan Ilyich and am in the middle of The Brothers Karamazov. Both books have touched on issues that have lately been on my mind, and I wonder what insights I’ll gain from reading We. Now I need to finish off some of my recent reads so I can get started. I hope everyone was as happy with their spin choice as I am with mine!